The Russian Transportation Ministry has permitted to the Georgian private air company of Georgian Airways carrying out direct charter flights Tbilisi – Moscow – Tbilisi. The air carrier has taken away a license for charter air carriage for the period from the May, 24 to the November, 1, 2010. 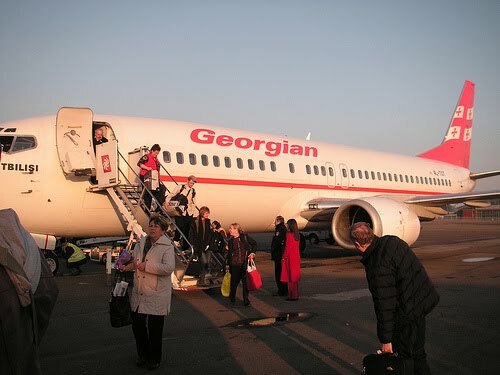 The Georgian Airways company presumes to carry out three – four flights a week, but this question is not yet clarified. According to different data, the flights are permitted till the June, 9th or till the July, 1 and it will be 12 flights only. Nobody knows exactly, but the services can take place, as it was in spring. The tickets for the flight are already on sale in Tbilisi. Russia-IC proposes a taxi service to all the foreigners, coming to Moscow. You can prefer a car and count the price of transfer as well as book the service here. Mainly drivers are English-speaking, and you can pay with a credit card.